19-year-old Corinne Auger is the co-founder and Executive Director of Music Lens, a free, summer music program for elementary school children in Boston, Massachusetts and Cleveland, Ohio. Auger joined From the Top’s Boston area Center for the Development of Arts Leaders (CDAL) at the age of 16, where she led teaching residencies in local schools for 3 consecutive years. While in CDAL, she teamed up with fellow musician Didier Lucceus to found Music Lens. Auger is a sophomore at the Cleveland Music Institute, pursuing a degree in violin performance under the tutelage of Jan Mark Sloman. She appeared on NPR’s From the Top with the New England Conservatory Youth Philharmonic Orchestra in 2015. 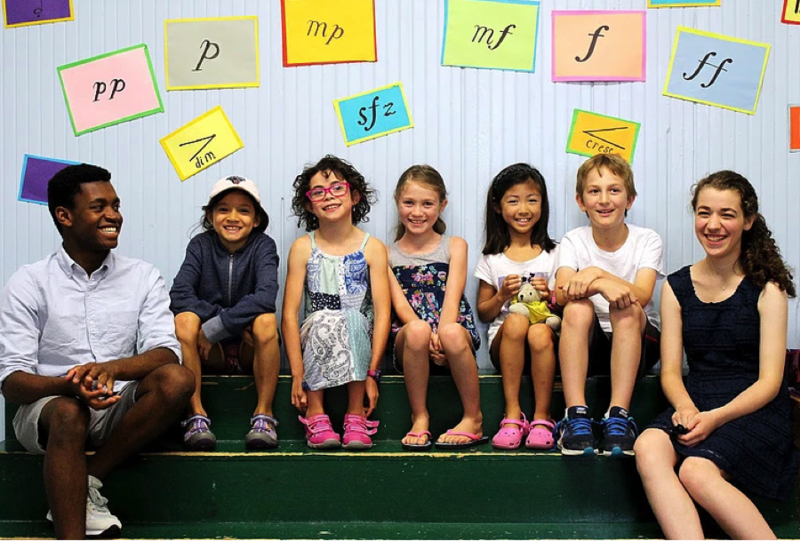 Music Lens is a free summer program that introduces elementary school students to classical music. It is available to any incoming second, third, or fourth grader, though the program particularly seeks to partner with communities underrepresented in classical music – specifically black and Latino children – as well as families who experience financial barriers to music education. No prior musical experience is required. “Fifty-two percent of Cleveland’s children live below the poverty line, and their families have trouble affording specialized and thoughtfully-planned summer programming. There are no free programs in Cleveland that teach classical music to kids who would not otherwise learn about it, and we aim to fill that gap,” said Auger. The From the Top Alumni Leadership Grant will help support the expansion of Music Lens, which began in Boston, to Cleveland. Co-founder Didier Lucceus will run the 2018 Boston sessions, while Auger will launch the Cleveland sessions.